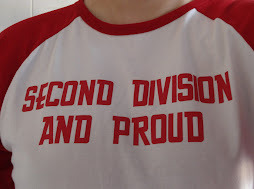 Second Division And Proud: Cider, Cider, Cider! So a huge crowd of 632 people crammed into the Valley last night and boy were they disappointed? Well personally no – not that I’m defending the defeat but (prediction of 3-0 win aside) you’ve got to almost expect it really. Usual poor fare for the first league cup match of the season and, that’s right, Charlton out – at least they spared us from extra time. Congratulations to Yeovil who worked hard for their win and deserve a good draw in the next round. J Thomas (7/10) Actually tried to take people on without being flash, stood up to a few challenges – come on JT you can do it! Semedo (Sub 7/10) Usual solid performance – why doesn’t he play more – anywhere?